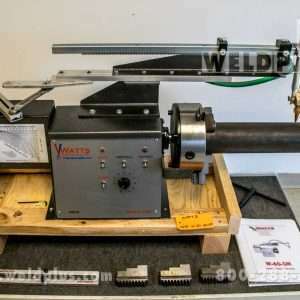 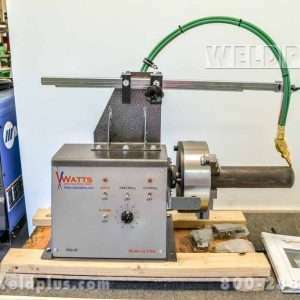 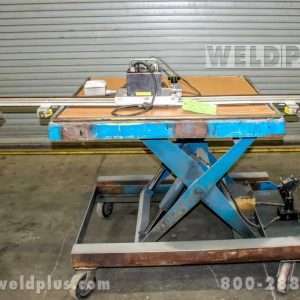 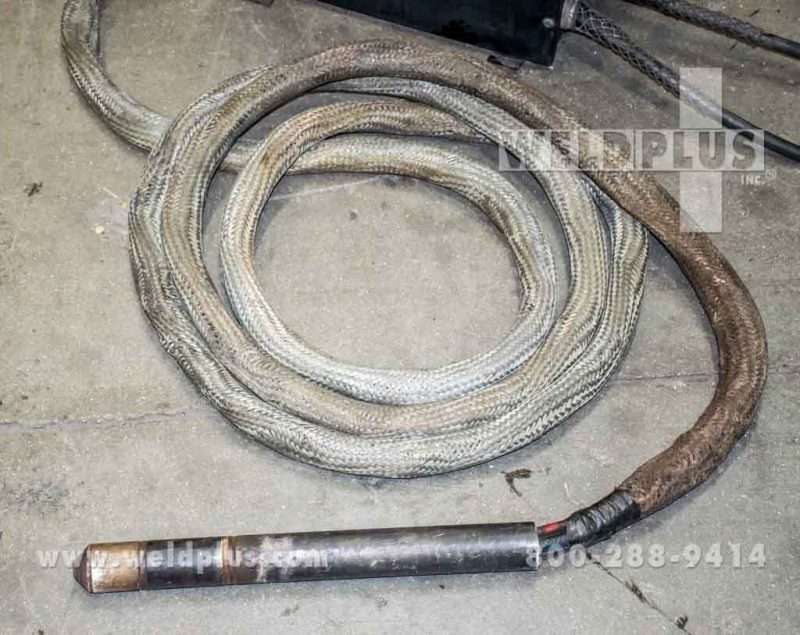 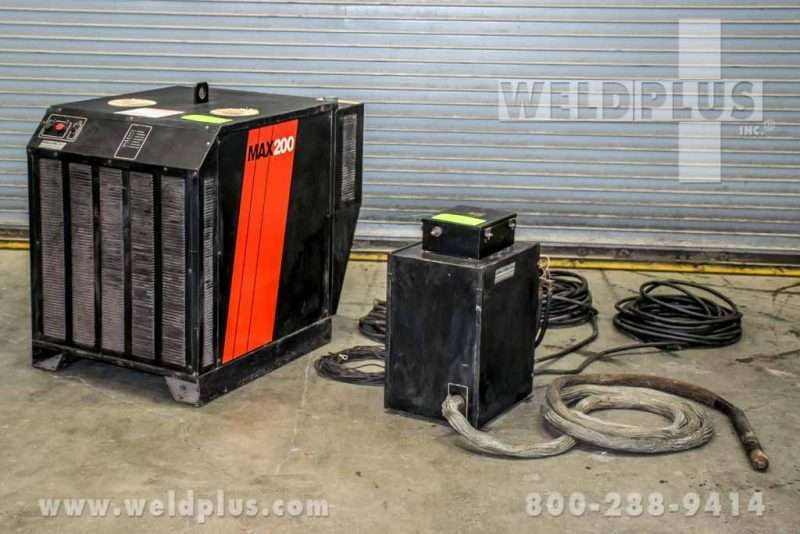 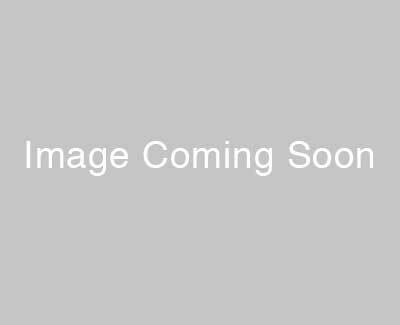 Hypertherm MAX 200 Plasma Cutting System | Weld Plus Inc. 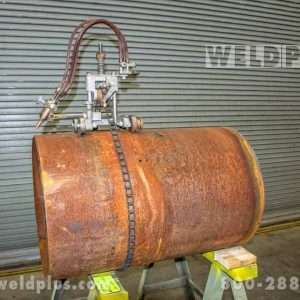 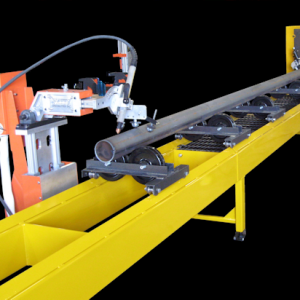 Complete Package Includes: 20’ Machine Torch, 70’ Cooling Lines, 70’ ground sensing lead and Inductive HIS control unit. 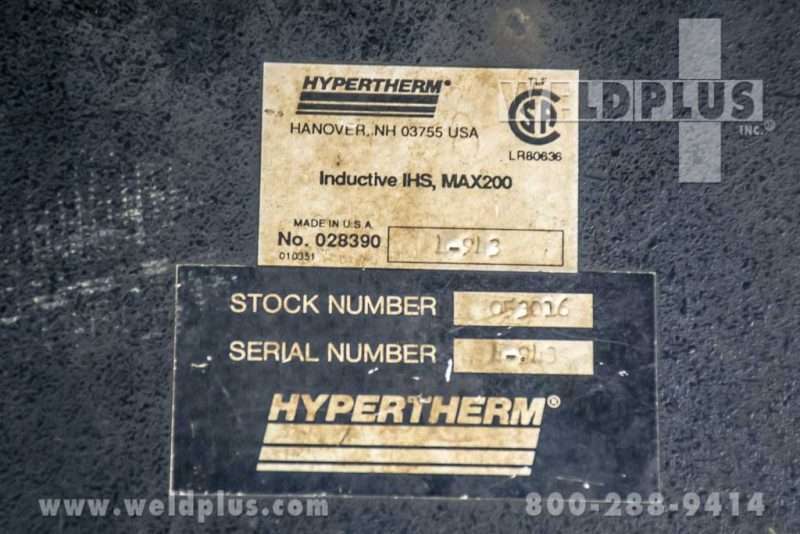 Shipping weight of 950 lbs. 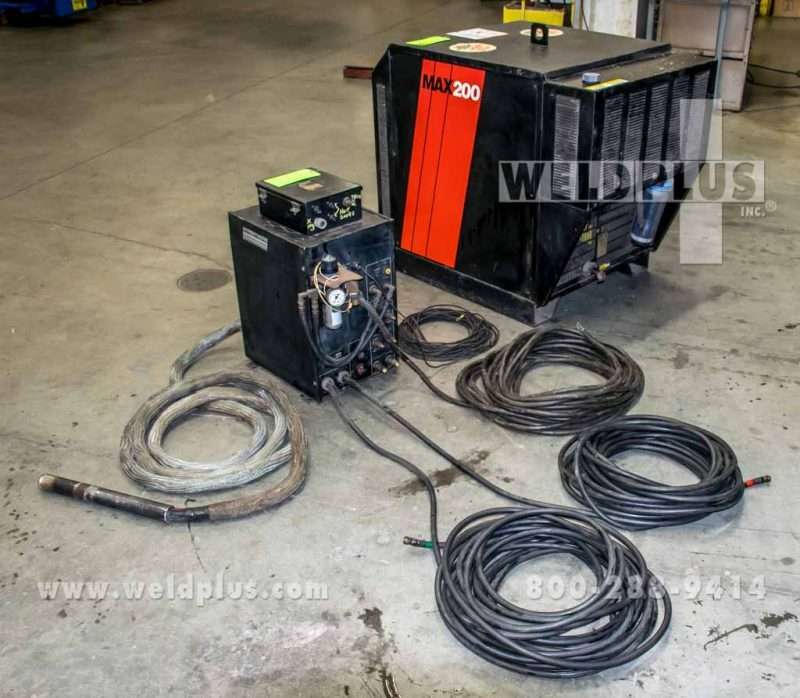 The Hypertherm MAX 200 Plasma Cutting System has a 200 amp output that delivers heavy-duty cutting capacity up to 2” thickness on most metals. 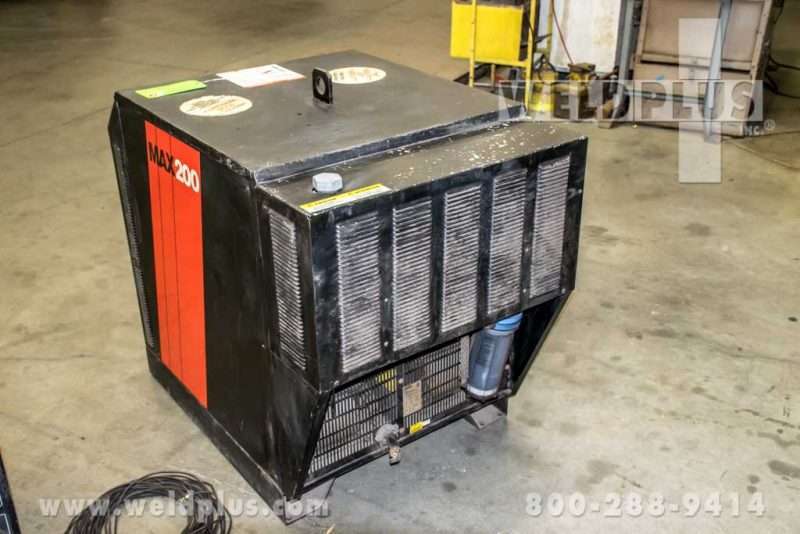 Adjustable power output from 40 to 200 amps lets the operator precisely match power to cutting requirements. 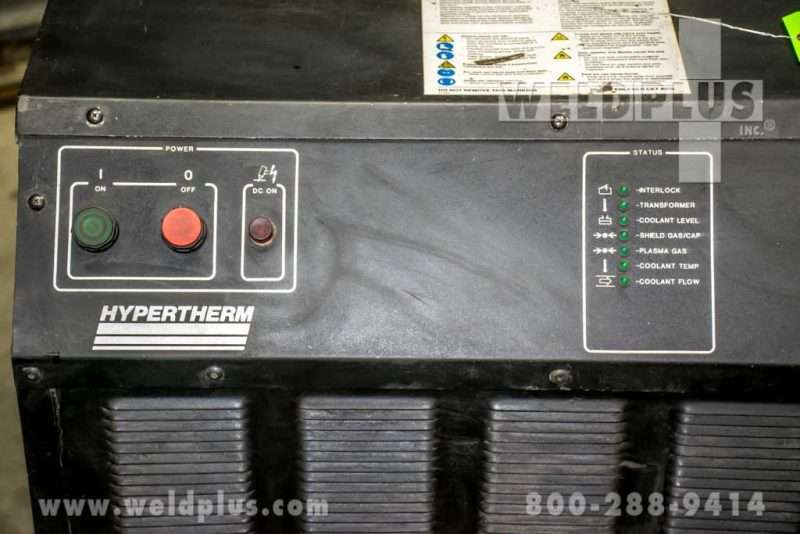 A transistorized power supply maintains constant output current regardless of variations in input voltages or torch-to-work distances, ensuring clean, square cuts throughout the cutting range. 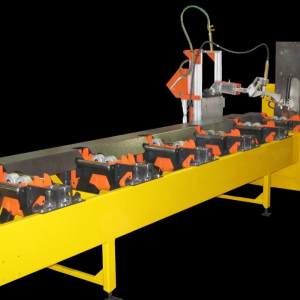 The system is dual-gas capable for optimum cut quality on a wide range of metals. 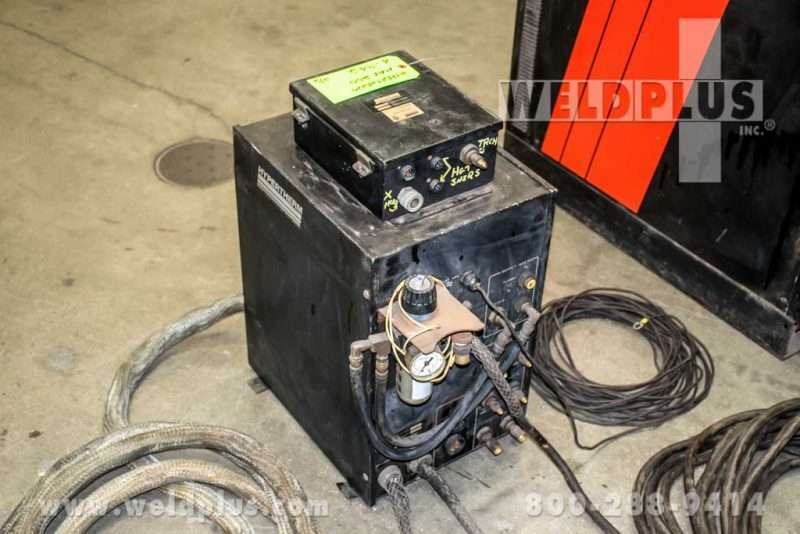 With 70’ of leads and a remote control unit, the power supply can be remounted to a safe distance and still function. 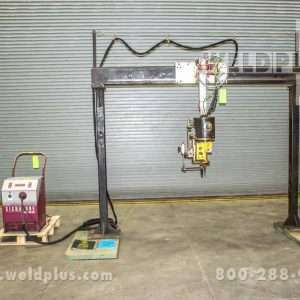 The Hypertherm MAX200 plasma cutting system can be used in manual cutting applications as well as automated cutting applications.